As I’d hoped, the Last Mountain Lake Cultural Centre in Regina Beach will host the premiere of TWO WEEKS IN JAPAN: More Than A Family Vacation! Please join me there at 7:00 pm on Thursday, October 27. What began as an idea for an essay about a family trip to visit our daughter in Japan morphed into an interdisciplinary, multimedia memoir project, a mashup of photographs, songs, websites, essays, rants, family stories, poems, peace politics, anecdotes, and archival data that speak to a range of social, political, and cultural issues. A Q&A will follow the presentation. Refreshments will be available. Bonus: Carol Daniels, on hand drum, and Sandra Topinka, on singing bowls, will join me at points during the presentation. I met these multi-talented women during my term as writer-in-residence at the Centre and appreciate their participation. This is a free event organized by the Last Mountain Lake Cultural Centre with the support of the Saskatchewan Writers Guild Author Readings program. Oh, I had a great #summerofwriting! I wrote some, edited a bit, and gardened a lot. Now, the golden-orange, red glory of autumn is here. And, I joined a book club! Unsettling Ideas is a book club aimed at creating discourse, generating ideas and raising awareness to the 94 Calls to Action … from the Truth and Reconciliation Commission of Canada. My kind of club! I hear the Calls to Action (pdf) from the Truth and Reconciliation Commission and need to respond and to do so in community. Lasting change happens when more than one person takes it on. Never doubt that a small group of thoughtful, committed people can change the world. Indeed, it is the only thing that ever has (attributed to Margaret Mead). Unsettling Ideas is that group. We’ll meet monthly from September to June to discuss a book by an Indigenous writer and hear from a guest speaker who will help the group engage with the work itself, the particular call to action, and broader themes of decolonization and reconciliation. We call upon the church parties to the Settlement Agreement to develop ongoing education strategies to ensure that their respective congregations learn about their church’s role in colonization, the history and legacy of residential schools, and why apologies to former residential school students, their families, and communities were necessary. There is resiliency in a people who have been brainwashed, psychologically, and sexually abused. That resiliency is key to healing. It was a powerful presentation. And the discussion was very good, but we didn’t have time to really delve into the literary aspects of this book, so I welcome more discussion about that. I’m thinking particularly about “survivor stories” which this book definitely is, but different from Elly Danica’s, Don’t: A Woman’s Word, for example. And I’m thinking about memoir in general and how this book adds so much to that genre but also to our historical record, a much-needed addition. Thank you, Nickita Longman, Cam Fraser, and Peter Garden, for making this book club happen. Looking forward to the next read. The summer of writing continues in fits and spurts. I continue to write about our trip to Japan, in between tending the garden and enjoying the summer. I’m seeing how our visits to Kyoto and Hiroshima rekindled my interests in peace politics and the anti-nuclear movement. How could they not, having been moved to tears more than once during our day at the Hiroshima Peace Memorial (Genbaku Dome), a UNESCO World Heritage Site in the Hiroshima Peace Memorial Park and the Museum it houses, where images and artifacts from the death and destruction after the US dropped the A-Bomb are on display? Remnants of an atrocity. Skeletal remains. Saskatchewan uranium. Image after image. Powerful stuff. (excerpt) As citizens of this planet … we are collectively calling for a mobilization of civil society around the world to bring about the elimination of all nuclear weapons, to put an end to the continued mass-production of all high-level nuclear wastes by phasing out all nuclear reactors, and to bring to a halt all uranium mining worldwide. It’s particularly pressing that civil society gain some movement on this issue at this time as “a new Cold War” is afoot. Please take time to read and endorse the Montreal Declaration. Then share it with your networks and communities. Saskatchewan’s Premier Brad Wall will do what he can to kill it. Please don’t let him. I haven’t posted since mid-February, right after a week at the SWG/CARFAC Retreats at St. Peter’s Abbey in Muenster, SK. The next day I started a full-time plus contract which ended in early April. That allowed almost two weeks of prep time for the conference I mentioned in that last post and three weeks for our 16-day trip to Japan to visit our daughter. She had time off work for “Golden Week” so we were able to explore pieces of Japan’s culture, history, and geography. We — we being my husband and our adult son — landed in Tokyo after 10 hours on the plane and spent the night at a hotel to get our bearings before heading to Nagoya where our daughter lives. From there, we visited Hiroshima, Kyoto, and Osaka then returned to Nagoya. We also visited a family friend in Tokyo, attended a baseball game to see the Nagoya Dragons soundly defeat the Tokyo Giants (11-4, I believe), spent the night in a traditional Japanese guest house, then made our way back to Nagoya for two nights. Two days later we were back in Saskatchewan. It was a whirlwind trip, just a taste of Japan, but I have more than 400 photos which I’m culling to prepare a travel talk, Excerpts from Two Weeks in Japan, which I hope to premiere at the Last Mountain Lake Cultural Centre this August. Details to come, we hope. 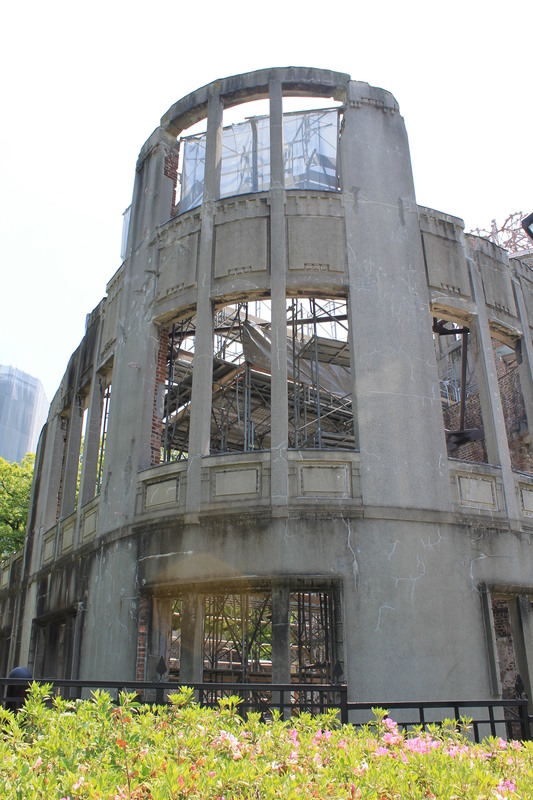 A-Bomb Dome, Hiroshima, near the epicentre of the first atomic bomb ever detonated on a human population. 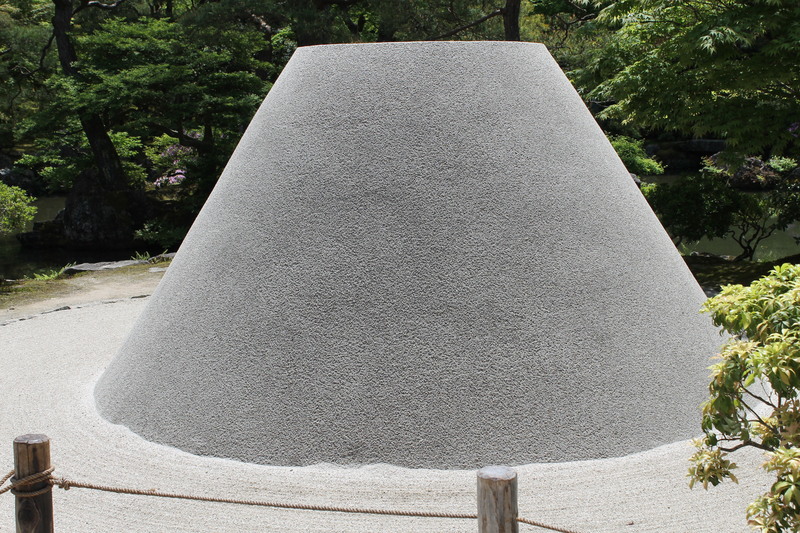 Silver sandhill, piled to represent Mt Fuji at Ginkaku-ji (Silver Pavillion), Kyoto. 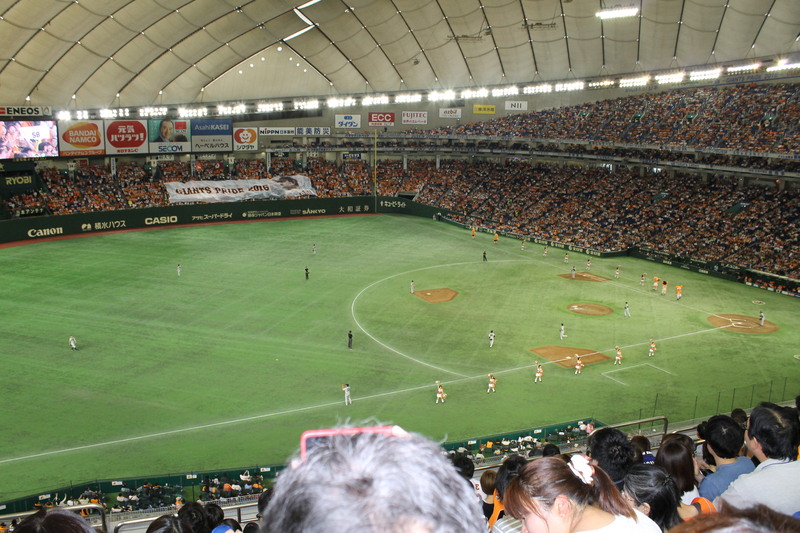 Tokyo Dome, Tokyo, Nagoya Dragons vs Tokyo Giants. In the midst of the business of living and writing came an invitation to serve on the Creative Nonfiction Collective Society‘s Writing True 12 Conference Committee. I’d attended three or four previous conferences, loved them, and was happy to help out. Smart decision; it’s been great! Writing True 12: The Roots of Story, taking place April 21-24, 2016, will be fantastic! Deni Béchard, Elly Danica, Hal Wake, Camilla Gibb, Heather Conn, Wade Davis, James Fell, Lori A. May, Trevor Herriot, Beth Kaplan, and John Barton will all be there. As well, the ever-popular Literary Cabaret (this year with a twist), a Members’ Dinner, and the presentation of the carte blanche/CNFC Award all take place at the Saturday night gala. Take a look at the conference schedule then go here to register today, February 14, 2016, and take advantage of the earlybird rate which ends at midnight. It is going to be a fantastic extra-long weekend at the Banff Centre in Canada’s glorious Rockies this April. You don’t wanna miss it! I was a teenager, living on a farm in rural Saskatchewan, when I first had the urge to be a writer. That was a long time ago. The dream never faded. And here I am, a much better writer now, and I’m going back home! 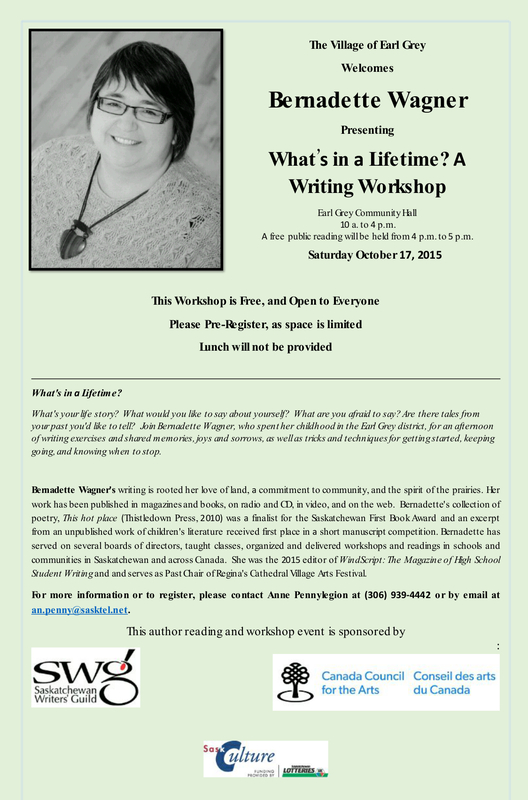 On October 17, I’m heading to my hometown, Earl Grey SK, to deliver a day-long workshop on writing. What’s in a Lifetime? will be an opportunity to explore your life story. What would you like to say about yourself? What are you afraid to say? Are there tales from your past you’d like to tell? Is there something you’d like to leave behind for future generations? I’ll share writing exercises and memories, joys and sorrows, as well as tricks and techniques for getting started, keeping going, and knowing when to stop. No previous publication or professional writing experience required. Bring your favourite pen, a sense of humour, and a bagged lunch. For more information or to register, please contact Anne Pennylegion at 306|939|4442 or by email at an.penny[at]sasktel.net. 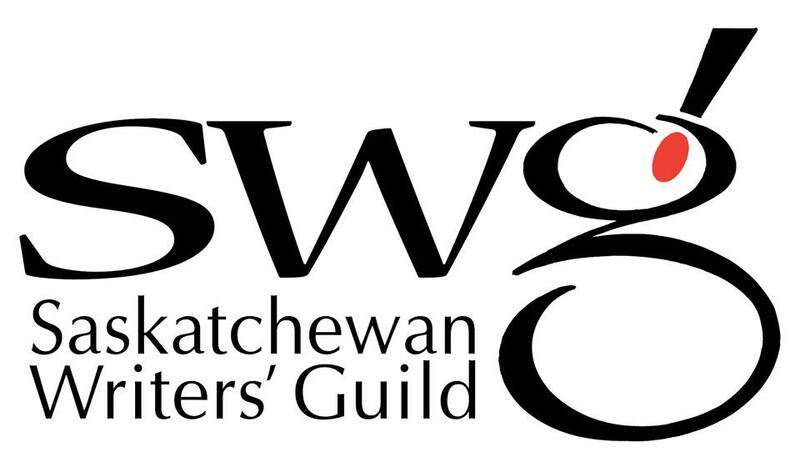 This is a free workshop with funding provided by the Saskatchewan Writers Guild, the Canada Council for the Arts and Sask Culture with support from Sask Lotteries. I’ll invite participants to consider special places that inspire their writing, if there are particular places they write about. We’ll look at the emotional and psychological places we write from, too, and talk about the genres we find to be the best place(s) for our writing. I’m also curious to see if there are places in the writing process where writers regularly get caught or stuck. And I’m prepared to offer a few suggestions and opportunities to try writing exercises to help us get unstuck. On the final day we’ll look at how we place our writing into the world, if at all, and we’ll have time to create a mini-chapbook, art card, post card, poster, or some other document to showcase our work. In essence, we’ll create a short first draft, and revise, edit, and publish it. Then, we’ll share it with the community at a public reading (at which there may be a very special guest). So, please join me in creating a safe and respectful environment where we can play with words and language and share our art in community. Registrations will be taken by the Last Mountain Lake Cultural Centre beginning September 8. * The maximum number of participants in this workshop will be 16. Presented with funding support from the Saskatchewan Writers Guild and the Canada Council for the Arts.